Leveling Jack & Systems: The Military Vehicles are required to operate in areas where the gradient of surface may vary. The Leveling Jack & Systems bring the platforms at an equal level which is mandatory for MAST, Antenna Systems launchers and other mountings. 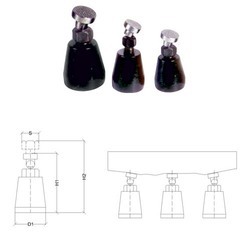 With the constant support of our expert team, we are engaged in offering a huge assortment of leveling jack. while adjustment , hence makes it suitable for fine level adjustment. 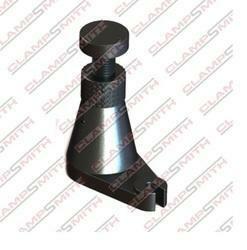 We are recognized as the leading entity of optimum quality Leveling Jack. Used As An Adjustable Support Block For Clamps And As A Stopper Or Levelling Block In Fixtures Or Machines As Well As For Levelling Surface Plates Or Other Heavy Duty Work Piece. We are engaged in offering top notch quality Leveling jack that is manufactured in compliance with international quality standards & ensure to give excellent performance. These are widely popular for being rust proof, highly efficient, dimensionally accurate and have longer service life. Backed by a team of professionals, we offer excellent range of Leveling Jack for Pressure Die Casting Machines. Additionally, client can purchase the provided assortment from us at very moderate costs. Banking on the skills of our qualified team of professionals, we are involved in providing Leveling Jack. 'TOOLFAST' Levelling Jack can be used as an adjustable support block for clamps and as a stopper or levelling block in fixtures or machines, as well as for levelling surface plates or other heavy duty work pieces.